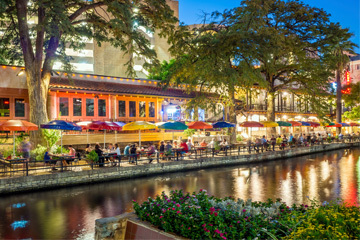 Parking.com has convenient parking for the Rio San Antonio Cruises River Tours. Refer to the map for more information on parking. Lock & Dam (Near Brooklyn St. Bridge) This location currently offers Rio Taxi tickets only. OPEN SEASONALLY.